It comes as no surprise that readers were really keen to improve their jewelry photography. So last week's giveaway was a success on both this blog and over at Modahaus' Facebook page. Of special interest to some was the potential to improve white background pictures. A few entrants were already current owners hoping to win another one! 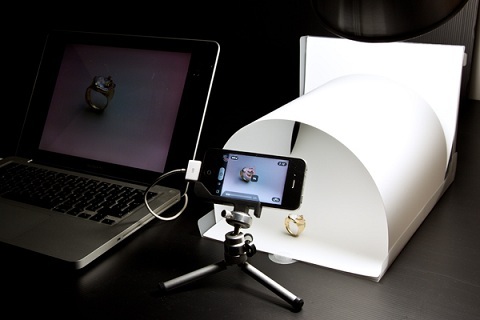 Taking jewelry pictures is no longer a dreaded chore with the Modahaus. Vicki said on the Modahaus Facebook page, "I can personally vouch for the remarkable difference this product makes when photographing your products / craft etc." Bev, a blog reader also agreed, " I love Lex's products. Makes taking good pictures easy." Alvano added, "I bought Lex's tabletop setup earlier. They work fine, everything came intact, and I'm very happy with the photos they allowed me to take." I numbered all the entries and hopped over to random.org. The random number generator picked the one assigned to Divya! Congratulations! If you also entered on the Modahaus Facebook page, head on over and check the name of the other winner! Wow...I finally Won it Haha :) I know this is the umpteenth time I tried for it..Thank you so much..
Persistence pays! Plus some luck with what is a little lottery! Hope you will enjoy using the Modahaus.